Dental licensing often keeps dentists tethered to the state in which they are licensed. In contrast, Universal licensure by credentials would allow a dentist to practice throughout the country. The Wealthy Dentist conducted a survey asking dentists if they are satisfied with the current system of dental licensing in the U.S.
Only one in five dentists say they like the dental licensing system as it stands. Fully 61% would prefer a universal system of licensure by credentials instead. It’s no wonder. 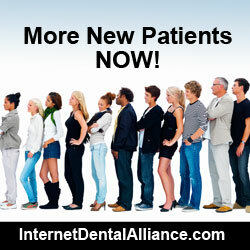 Dental licenses can truly impede a doctor’s freedom of movement. “If a dentist is Board Certified in an ADA-recognized specialty, he/she should be able to practice that specialty in any state without taking a general dental licensing examination, as that individual has attained the highest level of professional scrutiny!” said a Pennsylvania oral surgeon. What are your thoughts on universal dental licensing in the U.S.?